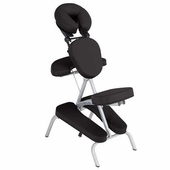 Looking for a portable massage chair? We carry the best in quality, balanced against the economics. Chairs from Stronglite, Earthlite and Inner Strength. We have experience with all of them to match you up with one that will serve you well and confident that you made the best choice.